EPA has introduced a proposal to roll back key guidelines that help communities suffering from dangerously poor air quality. This poses a specific threat to areas that are ground zero for oil & gas development, which have seen their air grow more polluted as the rest of the country's gets cleaner. Why is their air getting more dangerous? Because the oil & gas industry is the leading man-made source of "Volatile Organic Compounds," or VOCs, which are a key component of smog. 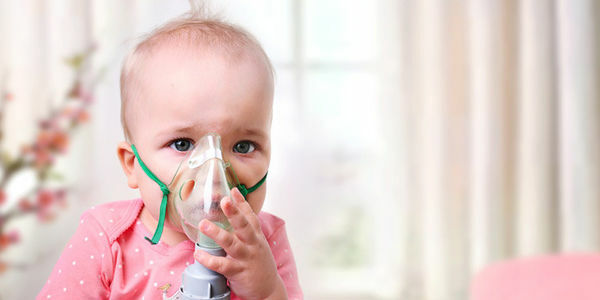 In fact, research shows that smog pollution from the oil & gas industry could lead to an additional 750,000 summertime childhood asthma attacks every year. America's children deserve better. You have a chance to stand up against this. Take action today, and demand that EPA Administrator Scott Pruitt walk back this dangerous attack on public health. I'm writing seriously concerned over the EPA's decision to roll back Control Technique Guidelines that help state, local, and tribal air quality agencies set standards for reducing air pollution emissions from oil and gas industry sources that contribute to smog formation. The oil and gas industry is the leading man-made source of Volatile Organic Compounds, which are a key component of ground-level ozone, or smog. This dangerous air pollutant puts Americans at risk and can lead to an early death from respiratory disease. Research has found that smog pollution from the oil and gas industry could lead to an additional 750,000 summertime childhood asthma attacks across the country every year. Without CTGs providing a baseline, communities would have fewer protections from this harmful air pollution and 25 million people will be at increased risk for air pollution. They deserve the protections that the EPA is supposed to guarantee.